Our swimming pool filter boxes easily cover up to a 4 bag pool filter with a 1,1Kw pool pump, swimming pool DB and even a salt chlorinator. 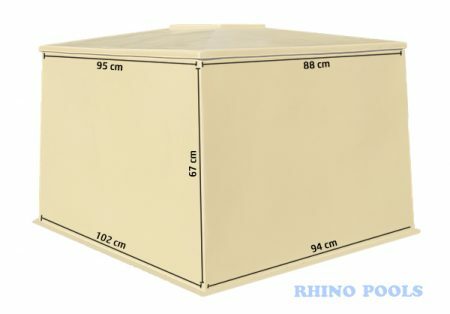 These boxes comfortably cover any standard household generator as well. We have a range of standard colours including sandstone, green and charcoal.